If you are tired of being unable to click on gondar/treant here is the solution. 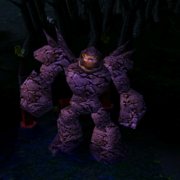 It involves replacing gondar's and treant's models with others that look exactly the same but contain a few additional polygons to make clicking easier. Press Start->Run, type "regedit", press Ok. Browse to HKEY_CURRENT_USER/Software/Blizzard Entertainment/Warcraft III. If a key named "Allow Local Files" already exists, make sure its set to "0x00000001 (1)". If its not, double click it, type 1 and press enter. If it doesnt exist, right click in the right area, press New->DWORD Value, type the name "Allow Local Files" and change its value to 1 like I just said. Just doubleclick the localfiles.reg file included in the attachment. 3. Download the attached .zip file and extract it in your WC3 directory (the files will appear at, for example, C:/Program Files/Games/Warcraft III/Buildings/NightElf/AncientProtector/AncientProtector.mdx and a similar path for gondar). Hi I'm in the predicament check my account on garena but it has already been confirmed, the password was not changed as I know, I need access SB4 nick thanks.